Alex King is a former fly-half who appeared in both the Premiership and the Top 14 and is currently backs coach at Clermont Auvergne. 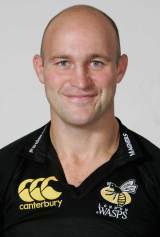 With five caps to his name at international level, King joined Wasps in 1996 from Rosslyn Park and helped them win the title that same year. He took his bow for England against Argentina in 1997 and made his debut at Twickenham for the national side against South Africa the following year. For club side Wasps, King was an integral part of their success. He kicked them to Tetley Bitter Cup glory in 2000 and took the man of the match award in the then Zurich Premiership final in 2003. He finished as the leading points scorer that season with 284. And the following season, King was a part of the side that won the Heineken Cup and league double. After achieving yet another title in 2005, King continued to play for the London-based side where he vied with Dave Walder and Jeremy Staunton for the fly-half spot. He took the Heineken Cup in 2007 and it was that season where he announced that he was going to move to Clermont on a one-year deal. King departed from Wasps with 1000 Premiership points to his name. King moved into a coaching position with Clermont two seasons later and helped guide the French side to their maiden Top 14 title in 2010. His success with Clermont did not go unnoticed and he was linked with a possible move into the England set-up under Stuart Lancaster in 2012. However, his next move would be to the Premiership with Northampton Saints luring him back to England as their new backs coach ahead of the 2013-14 season.